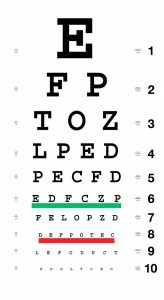 High index lenses are thinner and lighter. Reflection free lenses are virtually invisible. Transitions® lenses change color in bright light. The list goes on. At Parrelli Optical® you will find friendly, knowledgeable Opticians ready to explain everything you need to know about modern lens design. They can recommend those features that are most appropriate for you and your prescription. At Parrelli Optical® our Opticians are trained to combine the best lens features into the perfect eyewear for you. Guaranteed, in writing. We are eyewear architects committed to designing the perfect eyewear for you. In this process we will discuss a myriad of features and benefits that you will want to consider. Parrelli Optical® has the professional expertise to design the perfect lenses for you.